Harvested in the autumn. 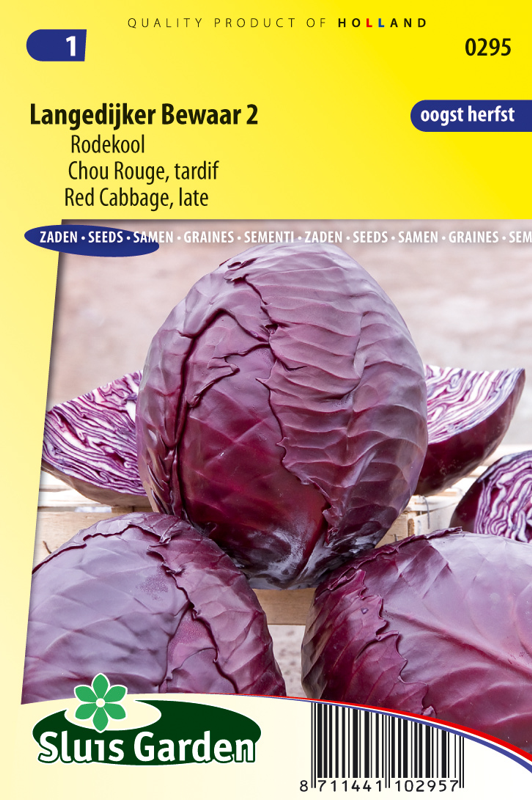 Forms attractive dark red cabbages of 2-3 kg which keep well in a cool place. The slower a variety grows, the firmer it becomes and the better it keeps. 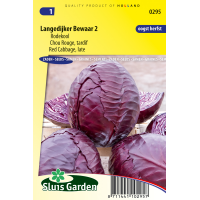 Contains many minerals as well as vitamins B and C. Sow in a greenhouse or in 5 cm soil blocks. Allow plants to harden off and transplant to a well worked and fertilized soil. Can also be cultivated on lighter soils.